Well friends, we're approaching the middle of the month, and you know what that means! It's time for my monthly post, highlighting all of the latest news and sales going on at my favorite shops! I don't know about you, but in my world, it's time to really get down to business on all of those Christmas projects and gifts. If you're in the same boat, you won't want to miss out on all of the great sales happening right now, so read on! 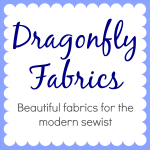 First of all, you might have noticed that Dragonfly Fabrics, a long-time sponsor of My Quilt Infatuation, is missing from my sidebar. 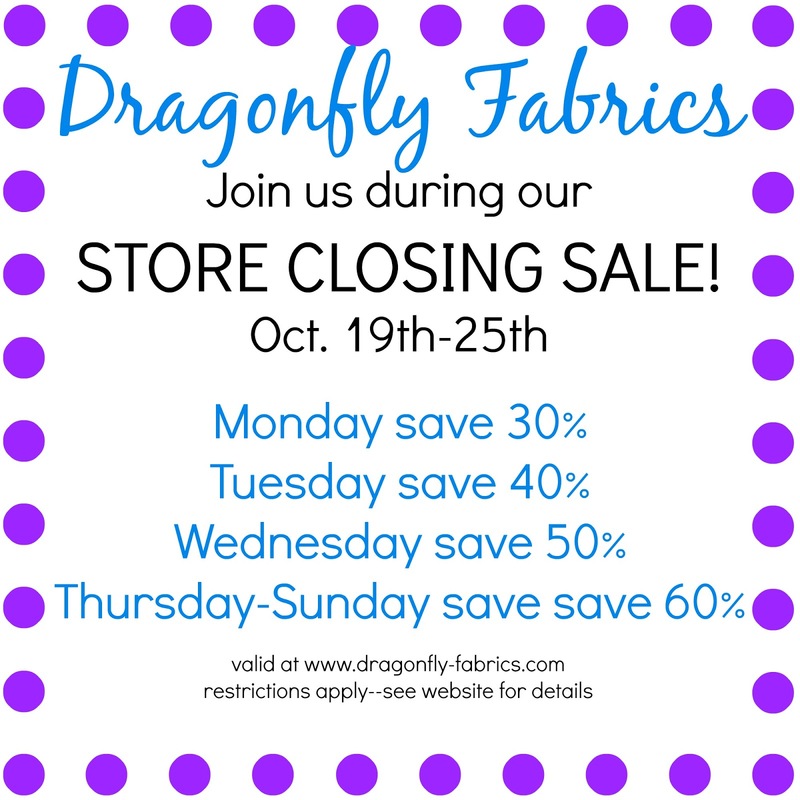 Well, I'm sad to report that Dragonfly Fabrics is closing. The owner, Amy, is pursuing other opportunities and though I will dearly miss the shop, I truly wish her all the best. 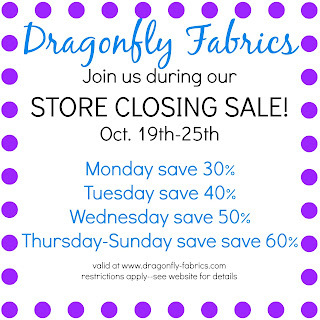 That does mean that Dragonfly Fabrics will be hosting a massive sale to clear out inventory starting next Monday. Be sure to bid farewell to the shop by taking advantage of this amazing opportunity and get yourself some goodies at rock bottom prices. 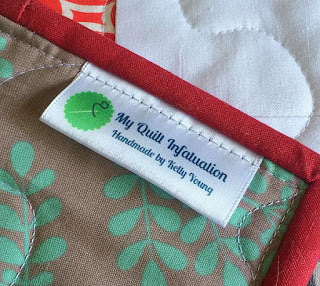 Four months running, and I still looooovvve my custom quilt labels from Finer Ribbon. Lately, I have had many people email me lately and ask exactly which labels I have, since their website has so many choices. So, I figured I should fill everyone in. The exact labels I have are HERE, though that might not be immediately obvious from the photo with the listing. My labels are 2 1/4 inches wide, and they are printed from side to side on the ribbon, rather than running the length of the ribbon. 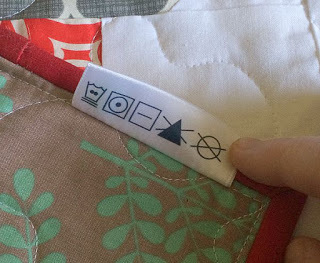 When the ribbon is folded in half, my logo and name are on one side, and laundry care symbols are on the other. Before my labels were printed, the design team sent me a paper proof that was perfectly to scale. I was able to print it, and cut and fold them to be certain that I loved them before they were printed on the ribbon. To add them to my quilts, I just cut from the spool, fold them in half and stitch them to the back of my quilt underneath the binding! Super easy and so professional! 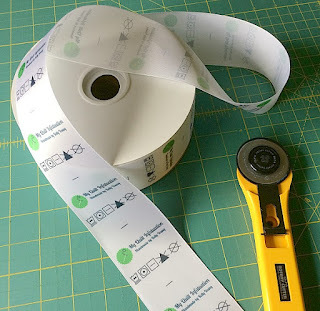 By the way, if you have already ordered labels from Finer Ribbon and would like to send me a photo, I would love to show examples of other amazing labels in next month's post! I am so excited to announce that Finer Ribbon has generously extended their coupon for 15% off of your entire order! Just use the code MQI15 at checkout! There are 1000 labels on that spool, so this really is a deal, folks! When most people think of October, images of pumpkins, scarecrows, hay bales, bats, and spiders come to mind, but we would be amiss if we didn't notice all of the pink that pops up this month as well. 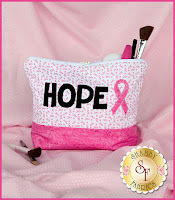 I'm sure I don't have to tell you that October is also Breast Cancer Awareness month, and Shabby Fabrics has a few special projects to commemorate this important cause. This Pink Ribbon wall hanging is the perfect way to honor someone who has fought breast cancer, or someone who is currently fighting for her life. 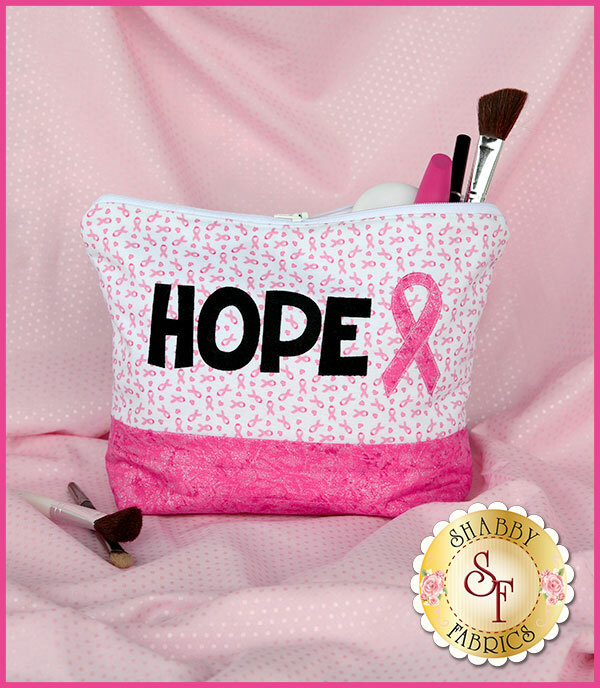 If you want something smaller, there is also an adorable Hope Cosmetic Bag. Both of these projects are available as full kits with all materials included, and with all appliqué shapes laser cut and pre-fused. Or, if you prefer, they are available as pattern-only. 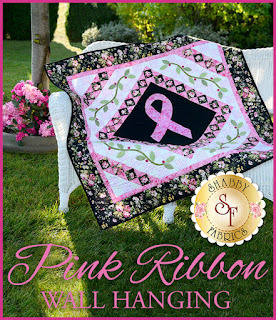 If you're looking to design your own "Pink Power" project, Shabby Fabrics has you covered there as well. 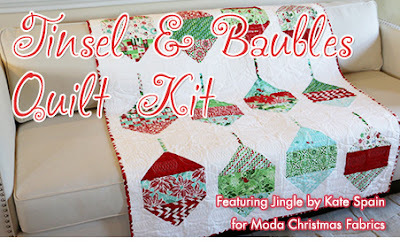 They have put together a special fat quarter bundle, and even a special thread box in gorgeous shades of pink. The pink ribbon is such an iconic representation of Breast Cancer Awareness, and I think it is so amazing that Shabby Fabrics also offers a laser-cut and pre-fused pink ribbon set. 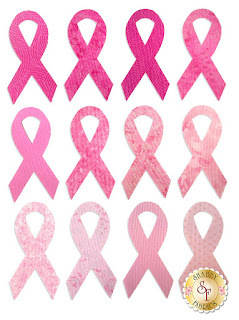 These would really make it so easy to turn a pretty, pink quilt into a true quilt for Breast Cancer Awareness. 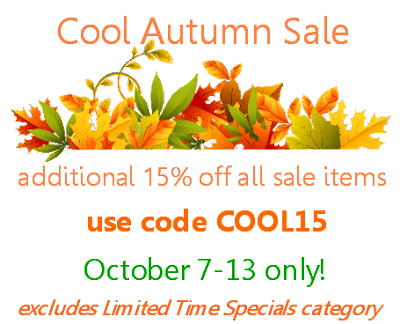 Great news from Jodie at Fort Worth Fabric Studio- she has just extended her Cool Autumn Sale through TOMORROW ONLY! My shopping cart always seems to be loaded up at FWFS. I love their bundles, and there are always great things in their remnant/one piece left section! 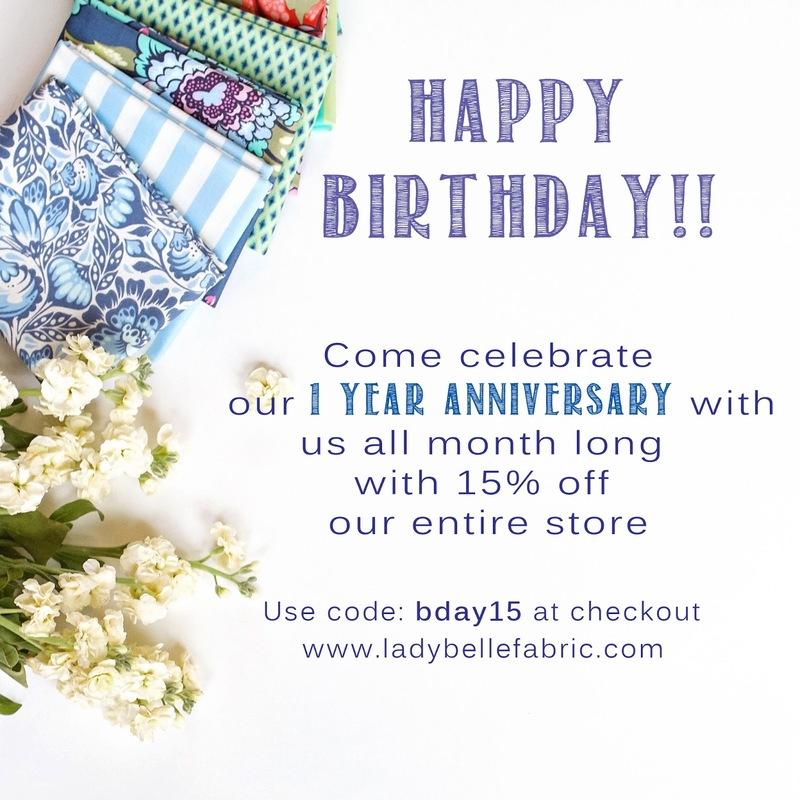 Happy, happy 1st birthday to Lady Belle Fabric! Can you believe it? 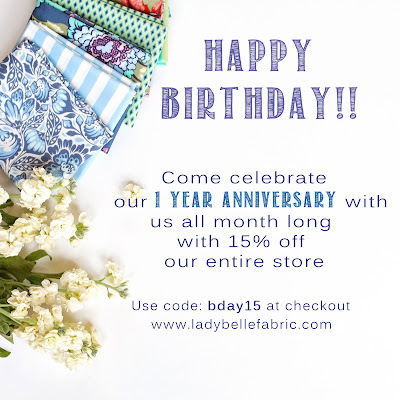 Lady Belle has been in business for one year and there is a celebration going on! I really love shopping at Lady Belle, and it has been amazing to see how her selection has grown. 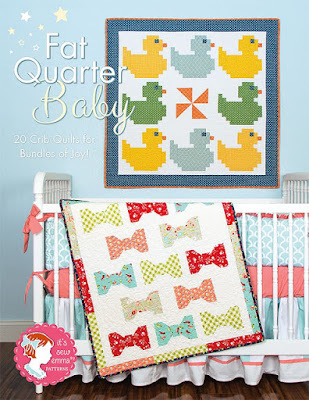 I know I've said it before, but it certainly bears repeating- Lady Belle has some of the best fat quarter bundle prices you'll find anywhere! Beautiful fabrics, amazing prices- check it out! Last, but certainly not least is Fat Quarter Shop. There are a couple of new books that are available for preorder this month, and it looks like they are just full of adorable projects! Fat Quarter Baby is filled with 20 crib quilts that are fat quarter friendly- so cute! Pretty Playtime Quilts, by Elea Lutz, a designer for Penny Rose Fabrics, is also available for preorder and is filled with charming, whimsical quilts for girls of all ages. Check it out HERE. 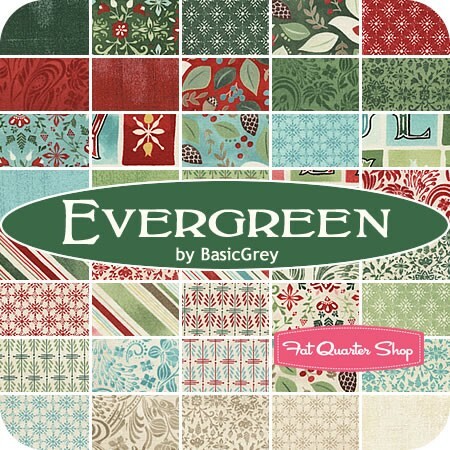 We all know that Fat Quarter Shop has an enormous selection of yardage, bundles, patterns, and kits, but since Christmas is quickly approaching, I wanted to take a minute to highlight their Christmas Cloth Store. That's right- their Christmas selection is so vast that they have a completely different website for it! 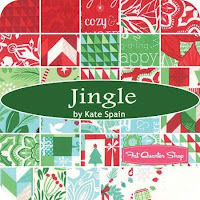 There are several Christmas quilt kits available, including my favorite, Tinsel and Baubles, featuring the Jingle line by Kate Spain. 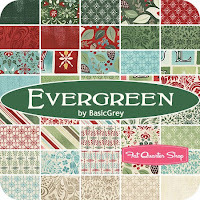 Another of my very favorite Christmas collections is Evergreen, by Basic Grey and it is available in fat quarter bundles, half yard bundles, and yardage. Really, the selection in the Christmas Cloth Store is so huge that these few features really don't do it justice. You'll just have to check it out for yourself! With all of these great sales and coupons going on, you're bound to find lots of fabric goodies, as well as plenty of inspiration to get those projects checked off your list! Happy shopping! Aw man, I totally never saw that 15% code for labels. Oh well. I'm in the process of getting mine finalized! Looks like some great deals, but I've already used up my fabric budget for this quarter.